Sureties are very common in construction contracts, effectively acting as an insurance policy for a first party, allowing it to seek reimbursement from a second party in the case in which a third party does not perform according to a contract. However, like insurance companies, and in an effort to avoid paying on false claims, sureties are extremely thorough in their analysis of each claim for payment. In some cases, retaining the services of an attorney experienced in dealing with construction contracts, and bond claims, can ensure that payment is received. Recently, a decision by the Eleventh Circuit regarding a Florida surety contract may have helped to avoid far-reaching negative effects on the construction industry. As will be described in more detail below, the Eleventh Circuit reversed a grant of attorneys’ fees to a surety company from a general contractor. A discussion of this case, along with some practical tips regarding sureties, will follow below. As alluded to above, the Eleventh Circuit reversed a lower court’s order for attorneys’ fees against the general contractor and in favor of surety. As background, the general contractor initially contracted with a subcontractor to install a pool at the Brickell CityCentre Superstructure in Miami. Unfortunately, the subcontractor defaulted on the contract. Accordingly, the contractor was able to secure the services of another pool subcontractor to finish the project. When made aware of this, the surety company maintained that its responsibility to compensate the contractor were extinguished, and filed a legal action to ensure this outcome was established. When it won this legal action, it then asked for attorneys’ fees, even though they weren’t provided for in the initial agreement between the general contractor and the subcontractor. While the District Court initially granted attorneys’ fees, the Appellate Court reversed, holding that, for attorneys’ fees to be awarded, the contract must unambiguously provide for such a remedy. Sureties, as mentioned above, are, effectively a form of insurance to an obligor that a principal will complete a project, or, if not, the surety will compensate the obligor. This is because, in any construction project, there is always a risk that the project may not be completed. 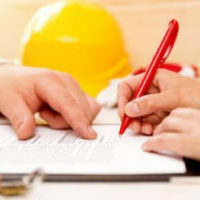 In a typical construction contract, the obligor is the person or entity responsible for paying the principal, the person or entity who does the work requested. In the case cited above, the general contractor is the obligor and the subcontractor is the principal. In most cases, the principal performs according to the contract and the obligor pays the principal. If the principal is unable to hold up his end of the contract, the obligor must now expend time and energy to find a replacement principal, and may also have obligations to the property owner. Thus, the obligor may require the principal to obtain a surety, a person or entity that guarantees that the principal will deliver for the obligor, or, if not, will compensate the obligor. It is imperative that a contractor, or any person or entity who is an obligor, requires a reputable surety by any principals (subcontractors) before commencing with a construction project. Further, as held by the Appellate Court, it is also imperative that all contingencies are set forth in the agreement, so that, if attorneys’ fees are substantial, for example, they, in fact, can be awarded. Having an experienced attorney, with knowledge in not only how construction contracts should be structured, but also in bond claims, will surely help alleviate any problems these issues can cause. If you are a contractor, and a subcontractor has failed to perform according to the agreement you have with it, and you are curious about your options to enforce the agreement against the surety, contact the experienced construction attorneys at Linkhorst & Hockin, P.A. as soon as possible. We have experience in handling construction contractual issues, including those involving sureties. We will analyze your claim and strategize with you to develop an appropriate course of action. Contact our Jupiter office today for a consultation of your situation.